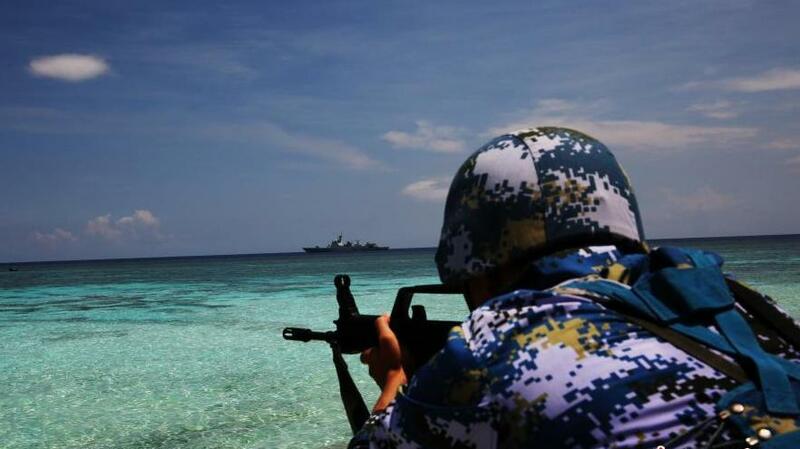 In the run-up to the Hague arbitration court's ruling on the South China Sea case that is expected in late May or June, the US and its allies have placed diplomatic pressure on China to accept the verdict. Officials from both the US and the UK have stressed that the ruling for the case brought by the Philippines must be binding, words that have drawn a strong response from China. China's ambassador to the UK urged the UK to "stop meddling in the South China Sea" in a Times opinion piece published Wednesday. On several recent occasions, China's Foreign Ministry has reiterated its position that it will not accept nor participate in the arbitration case. In response to a question regarding the upcoming ruling at a Monday press briefing, Chinese Foreign Ministry spokesperson Lu Kang said that the arbitration case unilaterally initiated by the Philippines is "in itself a violation of international law including UNCLOS," referring to the UN Convention on the Law of the Sea. According to Lu, it is not China, but the US who corrodes the authority of international law. "The US poses itself as the guardian of the maritime rule of law, but drags its feet in ratifying UNCLOS 34 years after the Convention was reached," he said, according to the press conference's official English transcript. "When it comes to international law, the US adopts whatever serves its purposes and disavows the rest. Such speculative behavior severely erodes the authority, sanctity and efficacy of international law. That is the real danger the international community should be on high alert against." His words echo those of two other Foreign Ministry officials who have also made statements in the past few days. As fellow Foreign Ministry spokesperson Hong Lei said on Monday: "Whatever decision the [arbitration] tribunal makes on the South China Sea case, it is illegal and null and China will not accept nor recognize it."